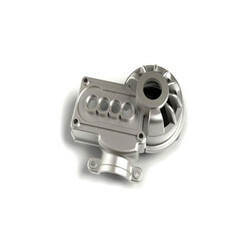 Prominent & Leading Manufacturer from Nagpur, we offer specific alloy castings. We feel immensely pleased to offer an exclusive gamut of Specific Alloy Castings. The provided alloy castings are designed by using premium quality raw material and innovative technology under the guidance of experienced professionals. Used by power generation equipment manufacturers, we provide these alloy castings in variegated specifications and dimensions in order to meet the needs of our clients. So as to maintain their durability, offered alloy castings are strictly tested on varied parameters. Looking for Specific Alloy Castings ?